Not far from Vetralla and less than 20 km from Viterbo is one of the most important and striking necropolises in all of Central Italy. 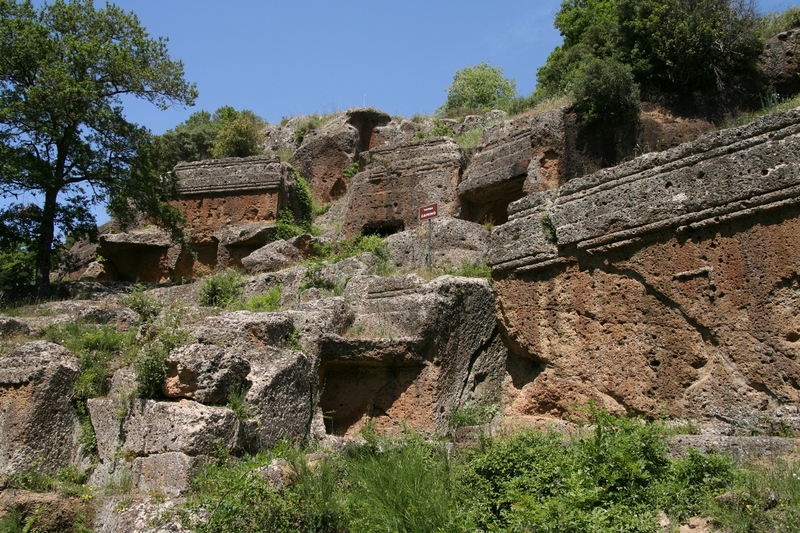 An archaeology site that has even produced prehistoric finds, Norchia features a series of terraced Etruscan tombs, both cube tombs and half-cube types, in what is now a lush natural setting. Even the road leading there is striking: called the “dark quarry”, it’s a narrow path cut into the tuff by the Etruscans that was later used by the Romans as a part of the Via Clodia.